(Seychelles News Agency) - The Central Bank of Seychelles has suspended the payment service provider licence of Doubleclick Exchange for non-compliance with applicable laws governing its operations. The owner of the company said he believes the situation will be rectified within a couple of days after better procedures are implemented. The Central Bank said Tuesday that Doubleclick Exchange has been issued with a directive to cease operations relating to the provision of money remittance services with immediate effect. The decision follows the findings of an onsite examination conducted by the Central Bank. The governor of the Central Bank, Carole Abel, told the press that the examinations showed that there are deficiencies in the Doubleclick Exchange internal control and that it was not up to standard. “If it is not up to standard it can happen that the institution misses something and this affects the country’s financial system. For example not keeping records. The law states that you need to keep records of your transactions,” said Abel. 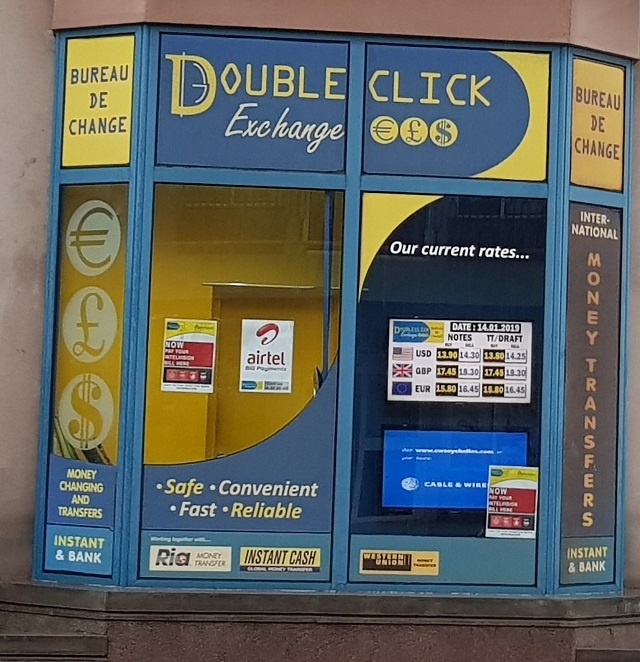 Doubleclick Exchange is a Class A Bureau de Change, which means it is licenced to buy and sell foreign currencies as well as engage in money transmission services. It started operation in 2010 and has eight branches in Seychelles, an archipelago in the western Indian Ocean. It partners with two of the world’s largest fund transfer agents, Western Union and Ria MoneyTransfer. The directive to stop offering money remittance services applies to all of the Doubleclick Exchange branches -- five on the main island of Mahe, two on the second-most populated island of Praslin and one on La Digue. The company will still be able to continue offering other services such as buying and selling of foreign currencies, but this will be done under the close monitoring of Central Bank. This will also include close monitoring of cash transactions. The Bureau de Change has also been instructed to address all deficiencies identified through the onsite examination and corrective actions have to be taken by the deadline stipulated in the onsite examination report. Gunathilake said that Doubleclick is taking remedial action to ensure that the capture of the all necessary information is there. In the meantime, Doubleclick Exchange has to inform its customers that it will not be providing money remittance services by way of notices, visibly displayed at its premises. All money transfer transactions initiated prior to Doubleclick Exchange receiving the directive have to be honoured and clients should liaise with the Bureau de Change for queries relating to such transactions. The Central Bank hotline number (248) 2510025 is accessible to the general public for queries. This is not the first time the Central Bank of Seychelles has taken action against a Bureau de Change, which in the past included the revocation of licence. In 2017, one Bureau de Change had its Class B licence revoked and another one in 2018. There is a regulatory framework that sets out the conditions and guidelines for the establishment and operations of licenced Bureaux de Change in Seychelles. Protégez-vous contre la cybercriminalité, les experts mettent en garde les business et le public Seychellois.